Lodha Aquaville is a latest addition to number 1 city of India“Palava City” was launched in February 2018. Aquaville Waterhomes are world class in design and inspired by Dubai, Singapore and Chicago waterhomes. It is 900 acres residential development by India’s famous developer – Lodha Group in the location of Dombivali East. This phase of Palava site is containing each and every feature to fulfil needs of the residents. Aquaville is a set of multiple buildings compromising choices of 1 BHK to 3 BHK homes with ample open spaces. These Lodha Aquaville phase is one of the best in entire Palava City for having riverside flats and serene and scenic views. Aquaville is very much affordable with the rate of 40 Lacs onwards. Lodha Palava Aquaville possession is expected by 2022. The Aquaville series in Palava City is a serene neighbourhood which is beautifully settled amongst the greens and complemented with a lakeside promenade. It offering Premium high quality fitted 1 BHK, 2 BHK & 3 BHK AC homes with luxury finishes. The carpet area of these units is 441 Sq.ft to 845 Sq.ft. Lodha Aquaville is a configuration of 20 residential flats, overall it covering 250 Units or we can say its home to250+ families and it is completely furnished with all the basic amenities for fulfilling the needs and desire of the residents. Lodha Group was incorporated in 1980, the Group is one of the most trustable builders in India and overseas as well. Mr.Mangal Prabhat Lodha is the founder of the company and Mr.AbhishekLodha is the managing director of the company. Currently, Lodha group is developing an estimated 43 million sqft in Mumbai the largest land reserve development of the city. They come up with amazing plans for development for which they have partnered with the World’s Best Town Planners like Kapadia Associates (Architects and Urban Designers), Mott MacDonald, RSP, SASAKI, BuroHappold, Tata Consulting Engineers Ltd, PrabhakarBhagwat, GE, Schneider Electric, SunEdison. The group is involved in the development of residential and commercial spaces with the strong presence in India and United Kingdom. The site is in close proximity to various civic utilities. Mumbai as a city has limitations with open land giving its residents no scope to enjoy the freedom of moving around. The project is perfectly situated to be a major business hub. LodhaPalava centre park New Project happens to be a posh residential landmark encircled of numerous advanced means of public transport services such as metro railway, monorail, railway station, bus stations to travel in all possible directions or zones in the current time period. The project location is at the centre of the economic triangle of navimumbai, thane and kalyan. Dombivali is well-connected by rail stations - Dombivli and Diva (Central Railway line). It is at the distance of an hour from South Mumbai through the Eastern Freeway. Aquaville site is 20 minutes away from commercial hub of Thane-Belapur. Also accessible via long elevated road planned between Kalyan and Bhiwandi. Lodha Aquaville is an upcoming project in 4,500 acres project Palava City at Kalyan-Shil Road, Dombivali East, beyond Thane, Maharashtra. Aquaville is giving opportunity to allow lifestyle amenities to your life by including 2 world-class schools within the project, 3- tier security, a forest area with hundreds of trees, modern technological infrastructure, grandeur clubhouses, gymnasiums, supermarkets, Olympic standard soccer, flamboyant 30 acres 9-hole Golf Course, children’s play area, outdoor exercise arena and water play zone. Schools and Colleges: - Thane Municipal Corporation School No 88, Bedekar English School, Global English School, Lodha World School, S.M.G Vidyamandir& Junior College. Hospitals: - Metro Hospital, Nil Medico, Metro Hospital, Bholenath Complex, Dvij Dental Clinic. Shopping Malls: - Oasis Mini Mart, Big Bazaar, Empress Mall,Xperia Mall, Being Human, One Stop, Home Town, KelashBhelPuriSentar. Restaurants: - Jay Vagheshvar Veg Chinese Centre, MotiMahal Restaurant, McDonald's, Pizzahut, Subway Restaurant. Bank/ATMs: - Bank of India ATM, Bank of Baroda ATM, RBL Bank ATM, Kotak Mahindra Bank ATM, Union Bank ATM. Bus Stations: - Lodha Heaven Bus Stop, Palava City Bus Stop, Desai Gaon, Casa Bella Magnifica Bus Stop, Lodha Casa Rio Bus Stop. 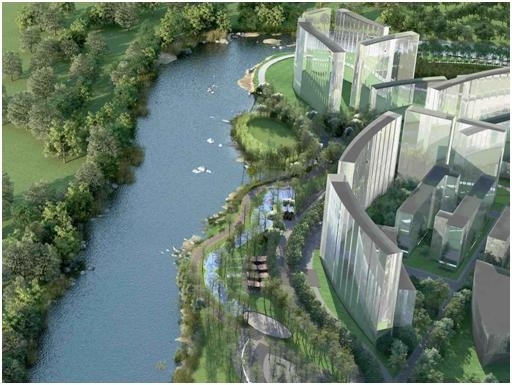 Parks: - Magnifica Park, Champa Garden, Central Park CBG, Mothi Desai Village Park. 400 sq.ft. - 1377 sq.ft. 431 sq.ft. - 640 sq.ft. 425 sq.ft. - 643 sq.ft.